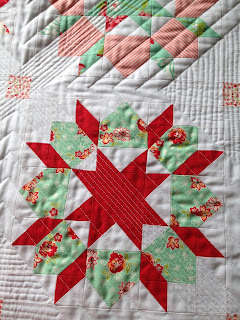 I have seen so many lovely pictures of Thimble Blossoms Swoon quilt pattern that I just had to make one. But I really didn't want to commit to another big quilt just yet! So the mini swoon seemed ideal! I found an online shop that had some Scrumptious fabrics available still and just knew that's what I wanted. 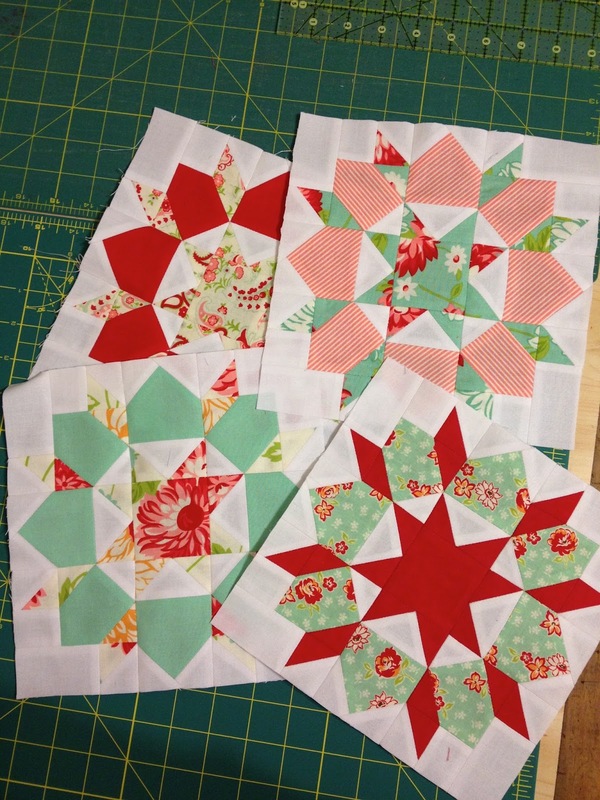 The blocks finish at 8" which is a super cute size. They can be a bit tricky getting the points to line up perfectly (and I do like perfection!) but I conceded in the end to stop unpicking and live with them as close as they were. I was enjoying making these blocks and had plenty of fabric to make some more. After finishing the 5th block I remembered why I had started making the mini version of this quilt. I didn't want another big project on the go when I was supposed to be finishing the Mario quilt! This was supposed to be a quick fix project! Not like me to get carried away!! Hehe! 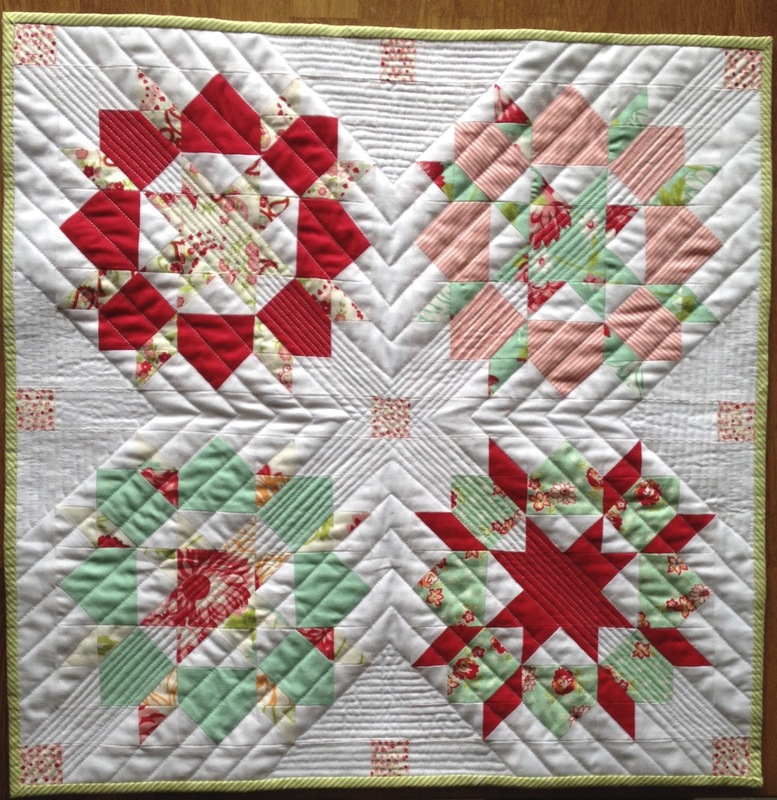 So I stuck with the pattern and used the four blocks I liked the most and constructed the top. I had some small scraps of fabric left over from making the front so I pieced them together to make a strip. I added some Kona pond that matched the scrumptious aqua really nicely to make the back the right size. I forgot to take a picture of the back before quilting it. 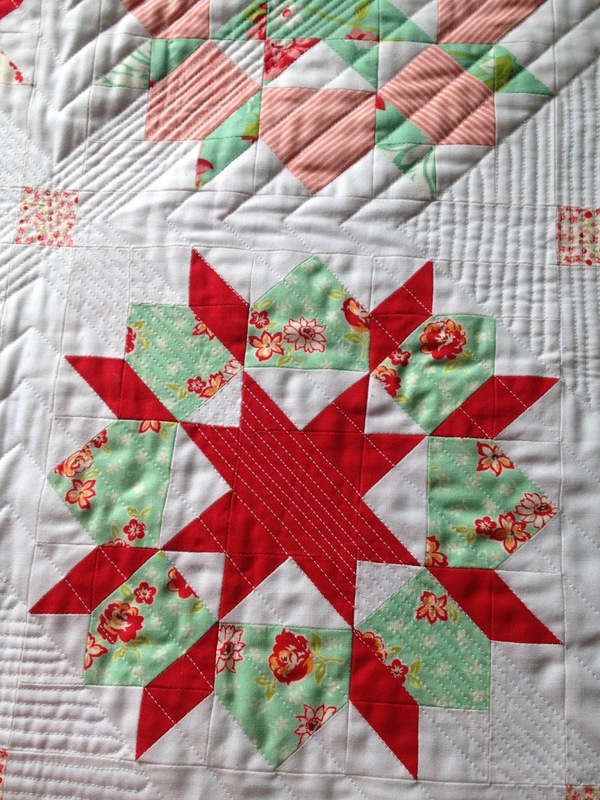 But here it is quilted. 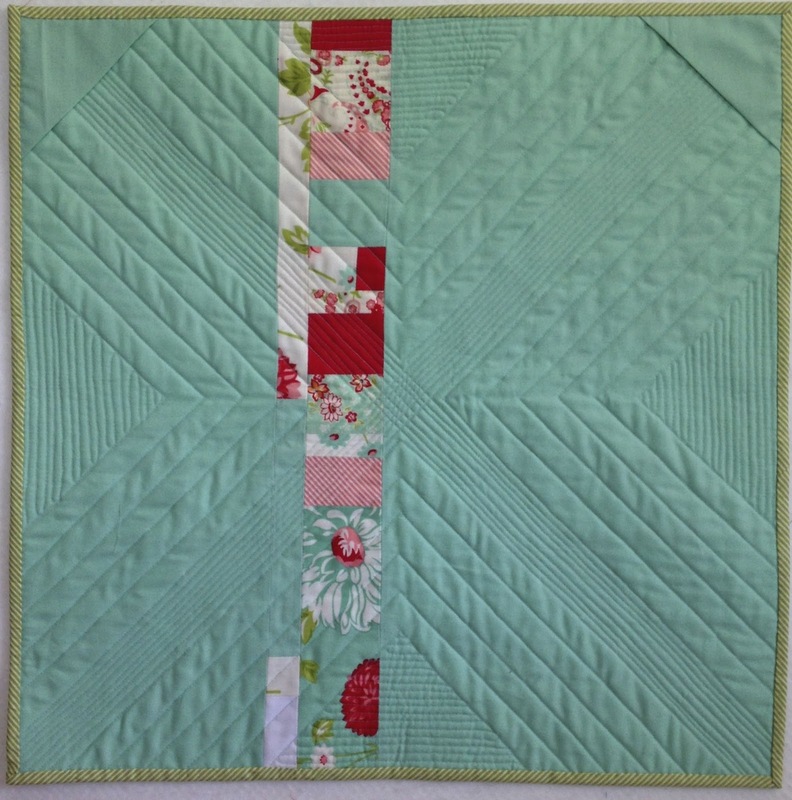 I went with straight line quilting on the diagonal about 0.75" apart. Having done those I decided to do some narrower lines but only in a small section. 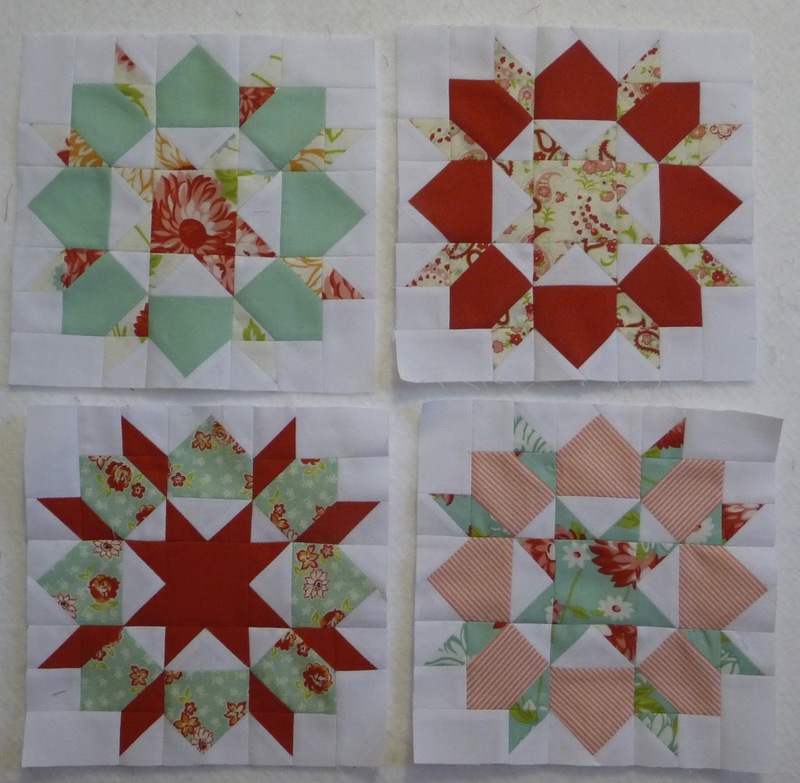 I need to practice straight-line quilting, my lines are not always very straight or evenly spaced! But I like it! Finally, I put on my free motion foot and did some freehand straight-lines in the triangles that had formed on the edges. 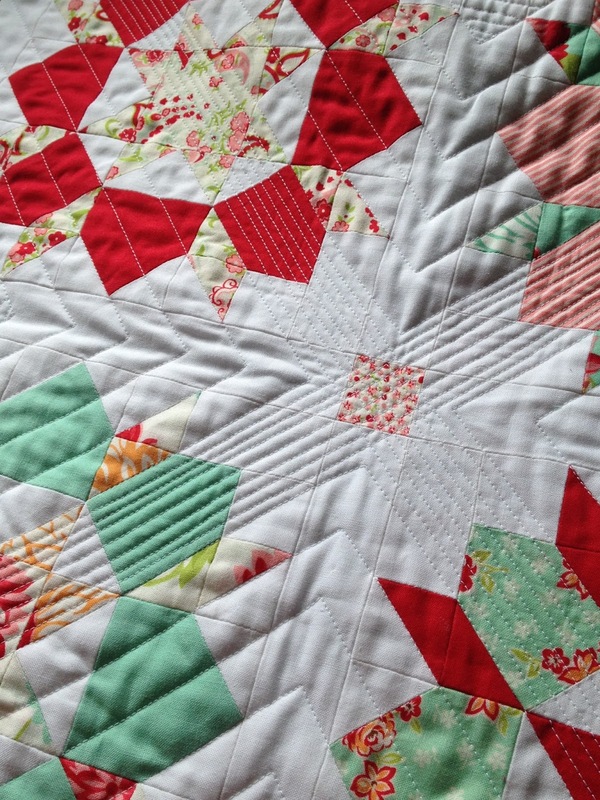 And here finally, the finished quilt. Making all the triangles in these blocks creates a lot of tiny scrap triangles. I am not very good at throwing fabric away but I am seriously wondering if it is worth keeping these tiny bits! Perhaps I'll put them in a tub for now and see! 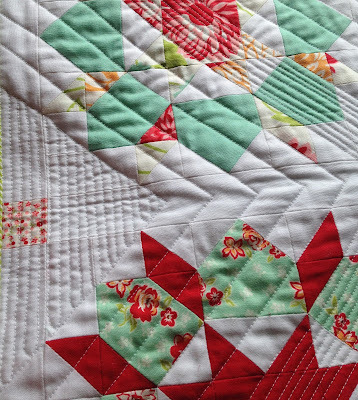 This is beautiful, your quilting is stunning. I just finished two of her other minis and am getting ready to start the mini swoon. Can I ask you where you ordered your scrumptious fabric from? Again, you've done a beautiful job! I love your quilting! 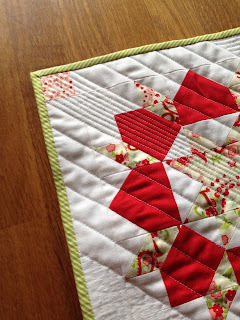 I have a hard time sticking with straight-line quilting as I get bored easily!